We have a stage which is normally 3.1m deep and 0.6m high. If necessary the stage can be closed to 2.1m deep. The stage has curtains, as shown in the photo above, and there is a pull mechanism to open and close them. Lighting is by fluorescent tubes and we also have dimmable LED lighting. There are 96 red plastic chairs, 20 padded chairs and 3 wooden ones. There are 2 AV projectors with the more powerful one projecting onto a 3m square pull down screen on which the feature films are shown. The seating for the films is informal with chairs adjacent to tables such that you can bring your own food and drinks. The cost is �50 a ticket and details of the film and times are on the Home Page. If you would like to reserve a ticket please contact through this web site or turn up on the night. The other projector is adjacent to the stage and projects to a roll down screen on the back wall. Both are mounted on cross beams to the roof. 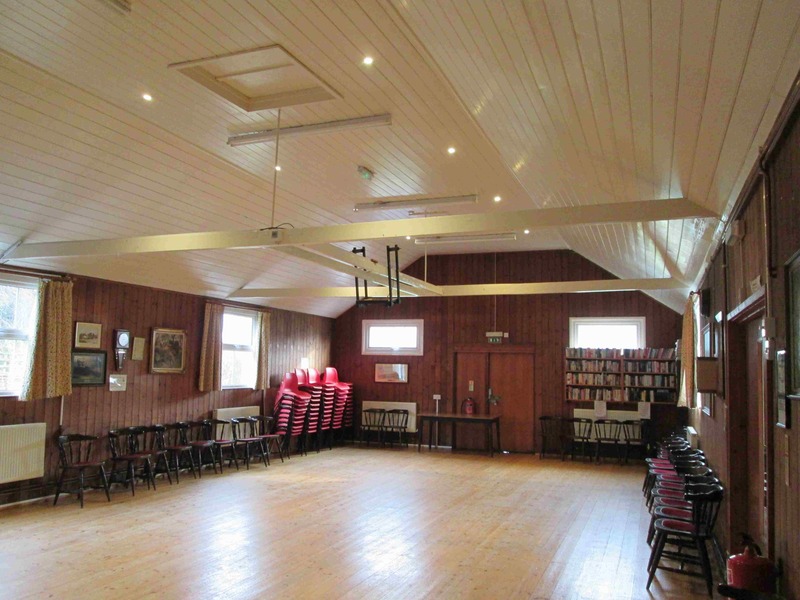 The village hall is shown above with thumbnails of the toilets, kitchen, hall and stage. There are toilets for the disabled and also gents and lady's toilets. Gas central heating and hot water is provided by the combi boiler. A wall mounted Burco boiler has been installed providing boiling water for tea and coffee. At the rear there is a kitchen which meets all the local authorities regulations and has a cooker, fridge and microwave. In addition there is a comprehensive set of cutlery, plates with matching cups and saucers, glasses and many other useful items you'd expect to find in a kitchen. 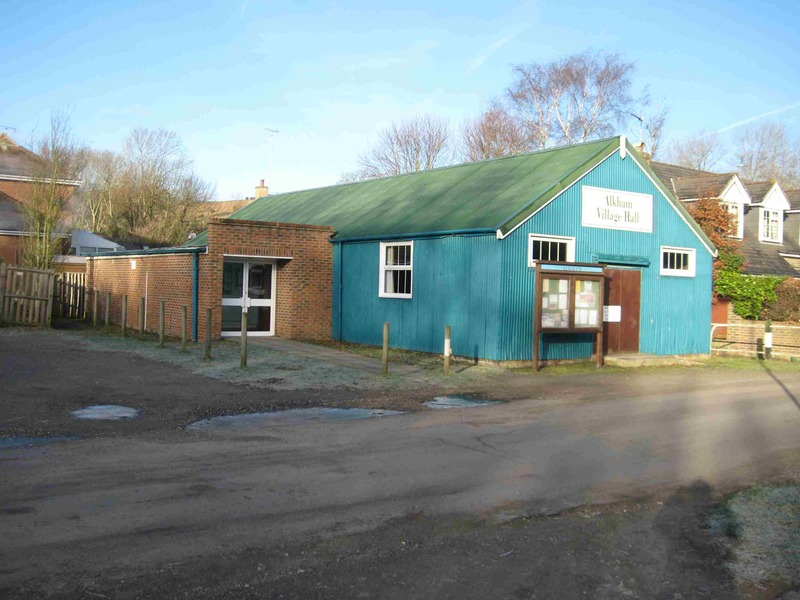 Adjacent to the village hall is a car park with another one on the opposite side of the road. Please be aware of item 7 in the rules of hire regarding how the hall is to be left at the end of the booking. For commercial bookings the cost is � an hour. A commercial booking is classed as an activity where the hirer intends to make a personal profit from the event. This does not apply to activities where the profit made is going to a charity or a club or group that has hired the hall. The hall owns an AV projector which can be used free of charge by people hiring the hall. There are two cradles mounted on crossbeams into which the projector can be put and there are cables for a DVD player and a laptop computer. 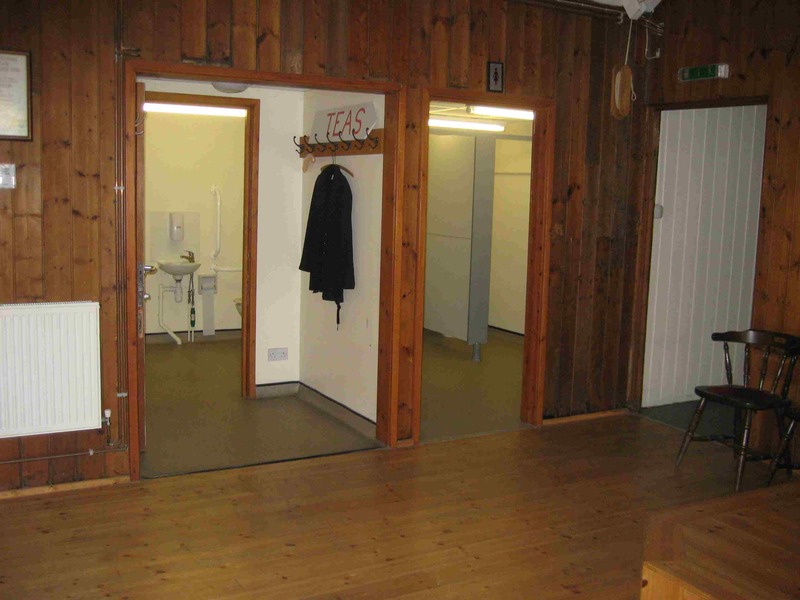 The use of the tables and chairs is included in the hall charge but but to hire tables etc for use outside of the hall will cost �each and chairs will cost 50p each. (a) Application for hire of the Hall shall be made to the Bookings Secretary. At the time of booking, the Hirer shall sign a copy of these Rules of Hire by way of acknowledgement and acceptance of their content. (b) The Hall shall not be let to persons of less than twenty one years of age. (c) The Hirer shall be responsible for the observation and performance of these Rules of Hire whether or not the Hirer is present in the Hall during the period of Hire. (d) Hiring charges together with a deposit as hereinafter referred to shall be paid at the time of booking or otherwise by arrangement with the Booking Secretary. individual without reason is reserved. (f) All hirings of the Hall are subject to the rights of the Committee to cancel the hiring on giving to the Hirer, except in the case of emergency, eight weeks notice of cancellation. The maximum number of persons permitted in the Hall at any one time is 140 with a limit of 120 for seating at tables. In the case of an exhibition of any kind, the maximum number of persons is 80. The use of candles or any other form of naked flame within the Hall is strictly forbidden. The smoking of tobacco in any form within the Hall is strictly forbidden. 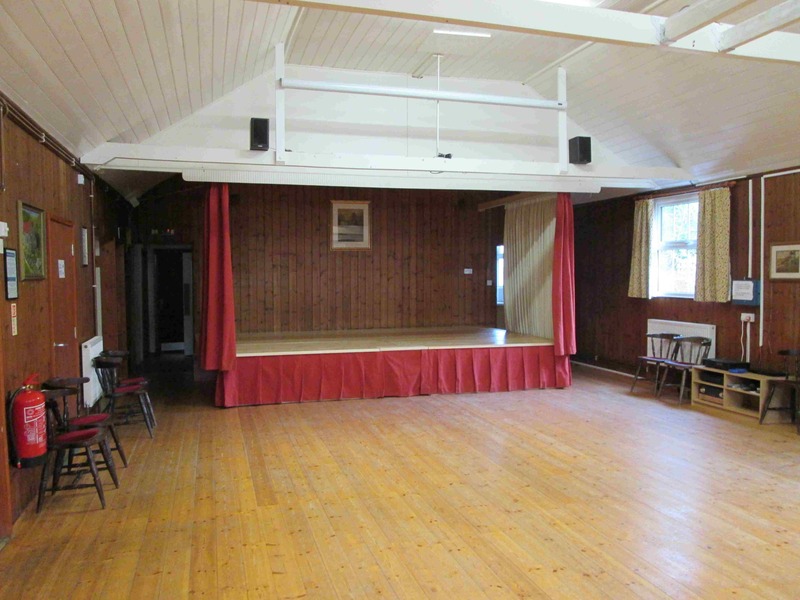 The consumption of alcohol within the Hall is not permitted without the express permission of the Alkham Village Hall Committee such permission to be requested at the time of booking the Hall. Although the Committee reserve the right to withhold permission they will generally grant permission for alcohol to be consumed at functions of organisations situated within the Parish of Alkham provided that such alcohol is dispensed without charge as part of the function. If alcohol is sold or included in the ticket price of the event or is offered as a prize for which tickets are purchased, such as a raffle, then it is the responsibility of the Hirer to obtain or to ensure that he has the benefit of all and any licences permits or the like required by law for the purpose for which the Hall is to be used or any activity undertaken during the hiring. All functions shall finish and the Hall be vacated by 11.45 pm. (7) The key to the Hall has been returned to the Booking Secretary. (b) The cost of repair of any damage to the Hall or its contents caused during the hire period shall be the responsibility of the Hirer. (c) A deposit of � shall be paid to the Booking Secretary as required by Rule 1 (d) above and if the booking is cancelled 6 weeks or less before the booked date the Committee will retain half the deposit as a cancellation fee. On completion of a booking the deposit will be returned to the Hirer when the Committee or their authorised officer is satisfied that ^ there is no damage to the Hall or its contents requiring repair at the expense of the Hirer. (d) The Committee accept no responsibility for loss damage or injury suffered by the Hirer or any persons occupying the Hall during the hire period howsoever caused. (e) No furniture or equipment may be removed from the Hall at any time for any purpose. (f) No supply of electricity, gas or water may be taken at any time for any use or purpose outside the hall.